Why I'll be supporting the refugee team during the summer Olympics in Rio de Janeiro. The summer 2016 Olympics is a big first in many categories: Rio de Janeiro will be the first South American city to host the Olympics. And for the first time in the history of the Olympics, a refugee team not representing any one country is competing. The refugee crisis stems from civilians trying to escape the escalating violence from political unrest in Syria and other countries in the Middle East and Africa by any means possible. The athletes on the refugee team are from Syria, South Sudan, Ethiopia, and the Republic of the Congo. 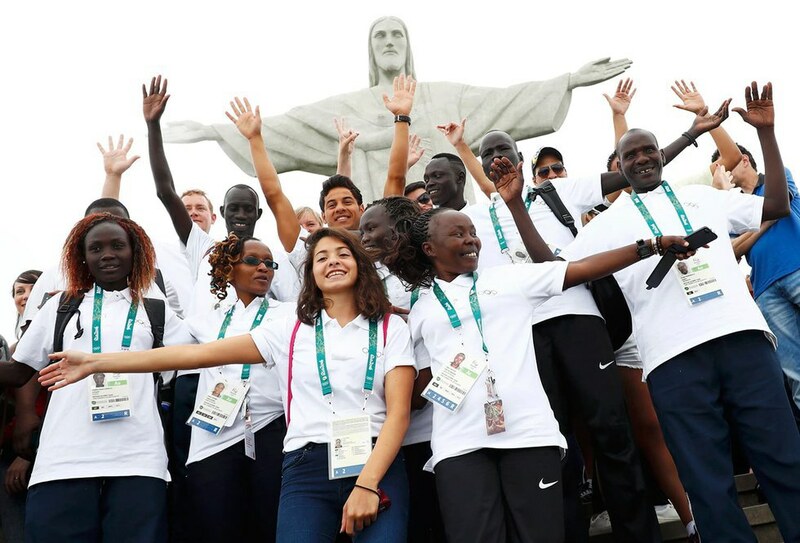 These athletes have endured unspeakable horrors and hardships including separation from and the deaths of family and friends, life in refugee camps with little to no personal belongings, escaping in crowded unsafe boats and by hiding in the wilderness, the possibility of being recruited as a child soldier, and arguably the most difficult, starting their lives over again in a foreign country. Their names are Popole Misenga (judo), Yolande Bukasa Mabika (judo), Anjelina Lohalith (1,500 meter run), Yonas Kinde (marathon), Paulo Lokoro (1,500 meter run), Yiech Pur Biel (800 meter run), James Chiengjiek (400 meter run), Yusra Mardini (100 meter freestyle and 100 meter butterfly), Rose Lokonyen (800 meter run), and Rami Anis (100 meter butterfly). “I want them (the refugees) to not give up. I want everyone to think of their dreams because a lot of people there forgot their dreams. A lot of things happened, and it was really bad. You remember that life will not stop for you. At some point, you have to move on." Yursa and the rest of the team represent the plight and the experiences of the more than 4.7 million displaced refugees and civilians in Syria and elsewhere. The visibility the Olympic refugee team has earned is crucial to understanding the refugee crisis and humanitarian issues civilians in Syria and other affected countries face. This team of people who have escaped and rebuilt their lives will be in the Olympic opening ceremony. They will compete and possibly win their respective events. They are becoming household names due to their bravery and accomplishments. For example, swimmer Yursa Mardini is hailed as a hero for helping push her boat full of refugees to shore and save them all from drowning. The media coverage of the refugee team humanizes the struggles associated with being a refugee and will hopefully lead to countries to be more accepting of refugees who want nothing other than stability and the opportunity to rebuild their lives. The coverage gives faces to the refugee crisis and highlights stories that have occurred time and time again over the past 5 years. Therefore, I will be rooting for the refugee team during this historic summer Olympics in Rio de Janeiro. For their resilience in the face of difficulty and their commitment to athleticism despite many roadblocks, the refugee team is truly admirable. They represent the international community in a way that no single country can and they espouse the ideals needed to be a world-class Olympian.